With the 1,000th episode of Monday Night Raw in the rear-view mirror, it is time for the WWE Universe to see what is coming around the bend. After the shocks and surprises that happened last week, what could the WWE possibly have in store for us now? Let’s find out! 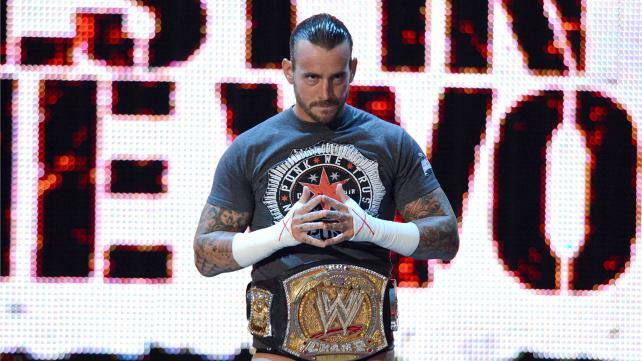 WWE Champion CM Punk kicked things off Monday night, being bombarded by more jeers than he has received in over a year. The “Best in the World” seemed unfazed by the crowd, however, as his attention was solely on Jerry “The King” Lawler. Punk declares that he was disgusted by Lawler’s insinuation that he had turned his back on the WWE Universe. As he proceeded to sit Indian-style on the announcer table, Punk insisted that his attack on The Rock last week was due to a lack of respect on the part of “The People’s Champ”. The Rock treated Punk like a second class citizen, which is something that is considered to be disrespectful in Punk’s eyes considering that he is the WWE Champion. He went on to say that he is tired of not getting the proper respect that should come with being the champion. Like clockwork, the interruption train came roaring down the tracks. First we get Big Show proclaiming that the only reason the Punk is still the WWE champion is because of his interruption during Punk’s title match against John Cena. Show then declares that come Summerslam, he will become the new champion. Then Cena comes running down the ramp to attack Show as Punk nonchalantly looks on. The scuffle is broken up by yet another interruption, this time from new RAW General Manager AJ Lee. As her first act as GM, AJ announces that the main event will be Big Show vs. John Cena to determine just who will be the one to face Punk for the belt at Summerslam. A promo of last weeks confrontation involving Triple H and Brock Lesnar is shown. I’d be fine with this if it weren’t for the fact that this promo was played at least three times throughout the night. I haven’t been completely on board for the new three-hour RAW show, and this just further makes me object to the change. If the WWE is going to have a three-hour long show, then showcase more of the talent you have, and don’t flood the broadcast with promos. I can see that getting old really fast. Backstage, Daniel Bryan stands outside of AJ’s office, reluctant to enter. More on that later. As Brodus Clay did his usual dance routine with his Funk-a-Dactyls, Vickie Guerrero inexplicably came to the ring to challenge the trio to a dance-off. Guerrero did a routine that was very reminiscent of Elaine Benes, that surprisingly wasn’t well received by the crowd. The ridiculousness was finally stopped by the “Intellectual Savior of the Unwashed Masses” Damien Sandow. Sandow’s reason for playing the role of party pooper was to voice his displeasure with his encounter with the reunited Degeneration X last week. He proclaimed to be a martyr before brutally attacking Clay. It was a great way to push Sandow’s uber heel persona, and I can’t wait to see who they finally put him into an official feud with. After the commercial break, we see that Bryan is refusing to leave the ring. He demands to be seen by a doctor first. As this is happening, Kofi Kingston is set to have a match, so he is coming down the ramp joined by co-tag champion R-Truth and their mascot, the invisible Little Jimmy. Kofi tells Bryan that he is a joke, and that he needs to do everyone a favor and leave the ring. Upset by this, Bryan gets down on one knee to introduce himself to Little Jimmy. He then proceeds to (I’m not kidding here) drop kick the imaginary Little Jimmy out of the ring. Need proof? Here you go! So as you can see, GM AJ pulls the old switcheroo on her former fiance and has him committed for psychological evaluation. Now on to the scheduled match. Meanwhile, Daniel Bryan is receiving his psychological evaluation from a doctor backstage. The doctor asks Bryan a series of yes or no questions, which sets Bryan off on a “YES! YES! YES!” frenzy. Once again, we see Bryan and his psychologist running tests. This time it’s a Rorschach test, and Daniel can’t help but notice that one of the images bares a striking resemblance to a goat. Assuming that somebody put that in there on purpose, Bryan proclaims that the only thing that is goat about him is that he is the “Greatest of all Time” (G.O.A.T… Get it?). He then accuses the doctor to be in cahoots with actor Charlie Sheen. After the match, we get the doctor’s final diagnosis of Daniel Bryan. He concludes that despite his anger issues, and his obsession with actor Charlie Sheen, Bryan is 100% sane. Bryan is free to go, but not before he is introduced to his “anger management therapist” Kane. The Big Red Machine tosses Bryan around the room and ends the segment… for now. Before the match, Jerry Lawler and Michael Cole are joined by none other than the WWE Champion on commentary. In fact, Punk’s arguments with Lawler during the match overshadowed the actual match. What brought the match to a snail’s pace was the multiple times that Cena put Show into a sleeper hold to try and get the big man to pass out. It’s things like this that make me despise big men in professional wrestling. If they are big and slow, then the match is going to be big and slow. The two take the match ringside where Big Show throws Cena into CM Punk, knocking them both to the crowd. Once Cena makes it back into the ring he attempts to deliver an Attitude Adjustment on Show, which Punk breaks up. Punk kicks Show in the head, and stands over the two competitors sprawled out in the ring. He grabs a mic and announces that the winner is nobody, and proceeds to head backstage. As he exits, AJ Lee enters, and tells the WWE Universe that Punk is wrong, and that Show and Cena aren’t losers, but rather winners. She goes on to announce that CM Punk will have to put his belt on the line against both Show and Cena in a triple threat match. Upon hearing this announcement, Punk rushes over to AJ and demands to show him some respect since he is the champion. She laughs and taunts him. Show ends with Punk yelling about how this match isn’t fair to him. This episode wasn’t very promising for this new three hour format. I’ve been hoping that with all of this extra time, more talent could be showcased, new talent could be introduced, and old belts would be re-introduced. But instead, we got the same promos repeated multiple times. I understand that the RAW set caught fire just moments before fans began to enter the arena, but do you have to talk about it after almost every match? You guys gave yourselves an extra hour of programming, do something with it! Hopefully next week business will pick up. Good or bad, I will be here recapping it all. 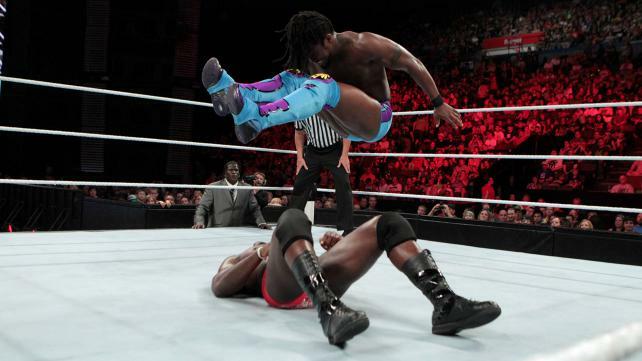 Until then, this is Brandon for Off the Top Rope, tapping out for now! ~ by Brandon Gnuschke on July 31, 2012.